We like to keep our tour groups small with a maximum group size of 8 people, to provide an exclusive and personal service with a relaxed and informal feel. The small groups also allow you more freedom and flexibility on your trip. 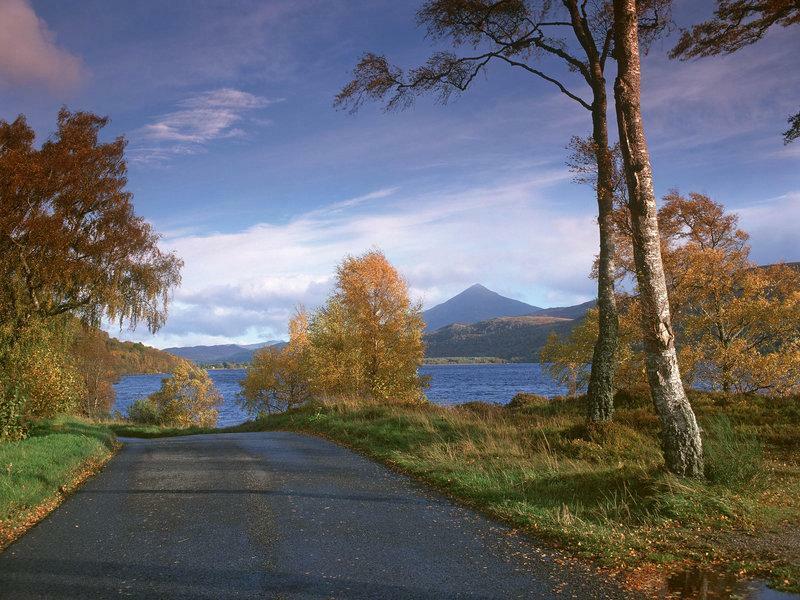 Archie, with his vast knowledge of Scotland and numerous local contacts, will be your driver guide for your holiday and can assist with your itinerary planning depending on your interests and requirements. 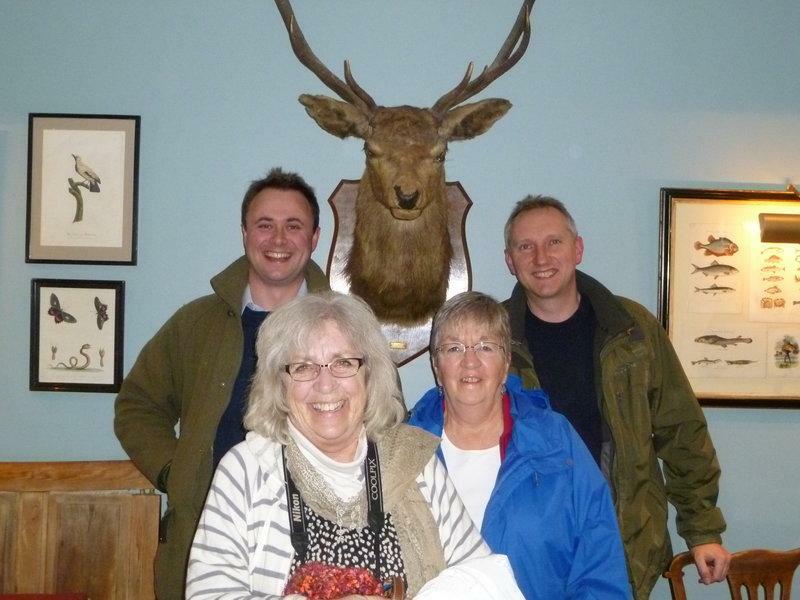 Our bespoke tours are perfect for couples, families and small groups of friends looking for an informative, fun and relaxed trip around Scotland staying at some of Scotland’s finest and most unique hotels and B&Bs. 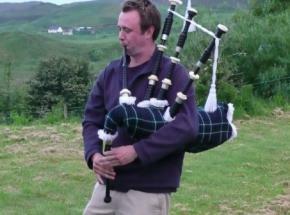 Archie is also a keen bagpiper and will happily bring is pipes along to give you a tune or two whilst we are on tour! We can pick you up and drop you off from anywhere in Edinburgh, Glasgow, Stirling or Perth, just let us know. You will find some example tours at our driver guided tours section. Remember these are just examples and we will happily put a tour together based on your interests and requirements and we can organise visits to attractions, specific activities and events, a number of which are exclusive to Uniquely Scotland. 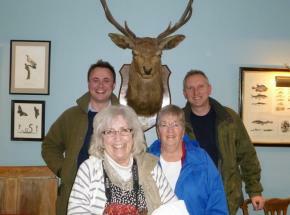 For multi-day tours, prices are from £450 per day which includes guides accommodation and food costs. Unless specifically organised in advance as part of your itinerary, admission costs, ferry charges and refreshments are not included in the price. This allows you more flexibilty to pick and choose what you wish to do on each day of your tour. We specialise in self-drive holiday itineraries utilising our excellent local knowledge and contacts to take as much of the hassle away from you with the aim of giving you the holiday of a lifetime. There is nothing quite like having a holiday under your own steam; avoid waiting for public transport, take a relatively large amount of luggage, simply put it in the boot of a car and off you go. You can travel at your own pace, and visit what you feel like at any particular time with the added advantage of using our local knowledge to give you a holiday that is perfect for you. You will find a number of our example itineraries at our self-drive itineraries page. Remember these are just examples, we can tailor make the itinerary to suit your interests and requirements. For more information about our simple booking procedure please visit our booking procedure page. Travelling through Scotland by train is a fantastic way to see the variety of landscapes our country has to offer and we can put together an itinerary for you based entirely on train travel if you wish. This is perfect for those that perhaps are not so keen on driving on our roads but still want to do their own thing without a driver guide. 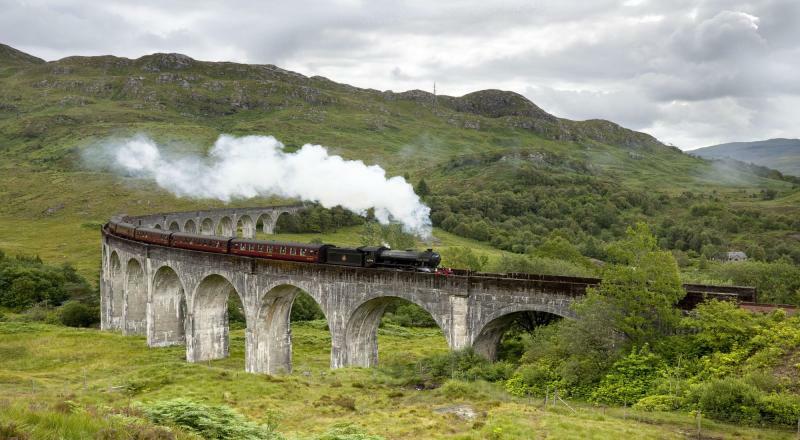 You can enjoy some of the most scenic train journeys you will find anywhere in the world here in Scotland, including the stunning West Highland Line from Glasgow to Mallaig. Please see our example train itineraries which includes the West Highland Line and the famous 'Jacobite Steam Train' amongst others. You will also find more information about some of the best train journeys in Scotland at our top 5 train journeys in Scotland blog which may help give you some ideas. 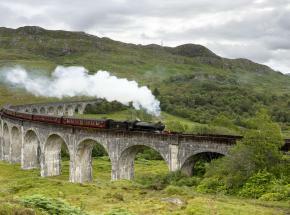 Let us know your interests and requirements and we can tailor a train itinerary to suit you. Please note all tours are subject to availability. If you have any questions or want to make an enquiry, please contact us and we would be happy to assist you with your trip to Scotland.